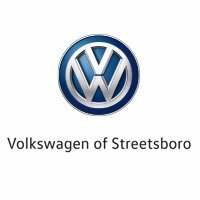 Welcome to Volkswagen of Streetsboro. We offer an exceptional selection of vehicles for you to choose from through our large inventory, and our sales professionals are ready to help you pick out the right car or SUV for you take home soon. Regardless of the Volkswagen model that you decide to purchase today, you can feel confident that your vehicle will deliver an incredible driving experience each time you cruise around town. Each of our vehicles is designed with intelligent engineering practices in mind. They offer exceptional power combined with a smooth ride, so they are a pleasure to drive on a daily basis. With many of our popular models available in gas or diesel options, you can customize your driving experience based on your preferences. Many models are sold with your choice of transmission, drivetrain and powertrain options, and you can easily experience what each equipment combination can deliver to you during a test drive.